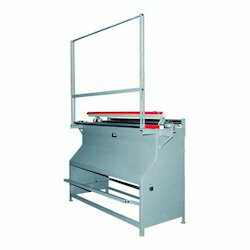 N-TEX (INDIA) Miniature Multi Purpose Cheese Pipe Straightener, to straighten your bend cheese pipe of Woven Sacks Plant. • To straighten all types of M.S. / Aluminum Pipes(tubes) which are used in tape/thread winding applications. Outfitted with a modern infrastructure, we are the most prominent manufacturer and supplier of a wide array of Woven Sack Bag Printing Machine. Drum Size 30" x 54"
With the constant support of our dexterous crew of professionals, we are fulfilling the varied requirements of clients by offering optimum quality Cement Bag Printing Machine. 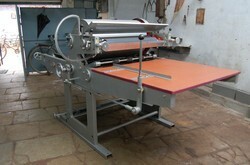 This machine is used for printing various types of HDPE / PP woven sacks bags and sheet. Our offered machine is manufactured by our trained professionals using supreme grade components and cutting-edge techniques in adherence to set the industry standard. To Print on various types of (HDPE / PP) Woven Sacks Bags/Sheet, Non-Woven Bags, Woven Sacks Bags, Cement Bags etc. 01 - 06 colors machines for choice. Prints on various types of Bags. FIBC (Flexible Intermediate Bulk Containers), Big Bags & Canvas / Jute Bags. 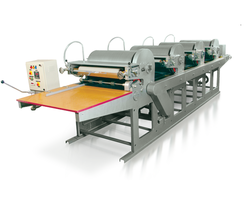 Apart from these, the machine can print on Corrugated / Multiwall Paper Sacks, Craft Paper & Wooden Planks also. 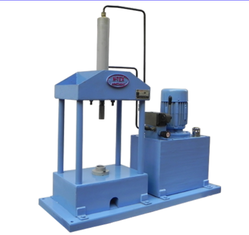 We are the leading Manufacturer and Supplier of Bobbin Cleaner Machine. N-TEX Bobbin Cleaner Machine to Clean HDPE / PP Yarn Bobbin from Wast Tape winding. 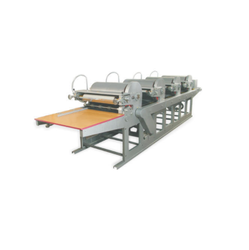 To retain our goodwill in clients' consideration, we manufacture, export and supply optimum quality Woven Sacks Flexographic Printing Machine . 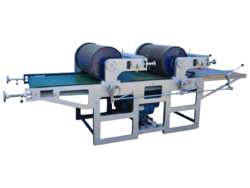 Our offered printing machine is manufactured employing sophisticated technology and premium quality components. 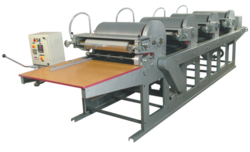 Furthermore, we deliver this printing machine from our end after examining it against different quality parameters so as to ensure its quality. 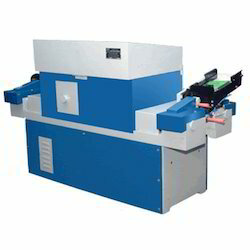 Customers can avail this printing machine from us at market leading prices.